Can a young love survive in times of turmoil and chaos? Introduced to cinema at the early age of 10, he received a special diploma for main child role from the International Film Festival in Moscow in 1981 for his performance in the Bulgarian movie "Yo-ho-ho". He has been pursuing his dream ever since, only this time on the other side of the camera - by being a director. He got a master’s degree in film directing from the National Academy of Theater and Film Arts in Sofia. Before that he graduated from the Secondary School of Fine Arts in Sofia. He has directed short films ("A.T.M", "Obsession", "The Statues Also Die"), numerous music videos for most of the top Bulgarian performers, documentaries, TV commercials. 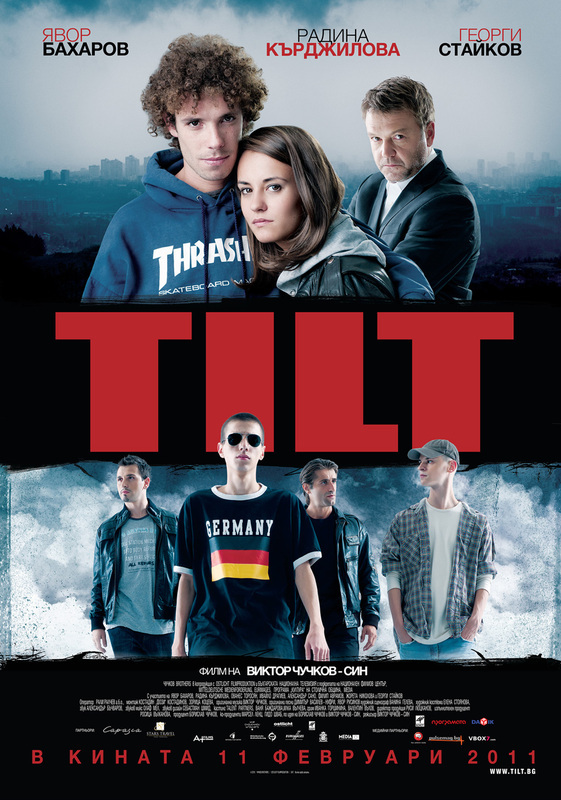 His first feature TILT has been awarded in several Festivals and has numerous national awards. Script: Borislav Chouchkov & Viktor Chouchkov Jr.
- The award of Sofia Municipality for outstanding achievement in culture, section cinema.